After 3 months of being linked with every player from the Maltese Premier league to the junior leagues of Southampton, Liverpool’s transfer window slams shut. Well, it was hardly a slam, as there appeared to be no last minute drama from The Reds. Nevertheless, Ian Ayre and co had been out in force this Summer with most of his Harley Davidson mileage being clocked up during the earlier stages of the window while the latter stage we seemed to stock up on youngsters to fill out the academy. Of course, we also attempted to offload some of our Mario Kart playing misfits. It might be surprising to some there have been a staggering 36 changes in personnel at the club this Summer. Some are evidently more significant than others, so just how successful was Liverpool’s transfer window? Eventually, after flirtation with Rondon and Bacca, Christian Benteke ended up becoming marginally our most expensive signing of the Summer and our second most expensive signing ever. He has quality, there’s no doubt about that at all. He literally wins EVERY aerial ball and is a constant nuisance for defenders. He has more to his all round game than I thought and has started of really well. Him and Sturridge could be a truly terrifying partnership, well, if Sturridge can stay fit. The problem is that fitting both him and Sturridge in the same starting 11 could be detrimental to the team overall. Who do you take out? The DM we evidently need? But then would you really leave one of Coutinho or Firmino on the bench? Milner hasn’t come to sit on the bench and Henderson is our captain. Furthermore, Benteke’s greated threat clearly comes earlier and so far we are far from adhering to that. Up to now we have put the least amount of crosses in to the box and are mystified as to why we have only scored two goals. If we play to his strength then he could definitely be a twenty, twenty five goal a season striker. In my eyes he just isn’t the type of players who’s going to latch on to a Coutinho through ball. He is a technical battering ram for defenders. I really cant decide how this is going to turn out, I’m filled with both excitement and dread. Two things are for certain though: Firstly, we’ll get an extra 6 points against Villa as he ALWAYS scored against us. Secondly, no defender really fancies playing against him. For this transfer rating I’ll just see how things pan out, I wouldn’t like to say. season with a loan fee of £1m being paid and 50% of his wages being paid by the Italian outfit. To be fair to the club the initial transfer was a risk which didn’t pay off. It happens. This was our last option and nothing more could be done. I understand Ian don’t worry. Next we have Lazar Markovic who joined Fenerbahce and again, unlike most I agree with this transfer. I couldn’t see him starting much for us this season and his potential is genuinely massive, around the same as Sterling. This would seriously stunt if he was to be left on the bench all season. Or even worse… at wingback. Fenerbahce are no small time team either, he’ll get the chance to play with some quality player such as Van Persie. There’s also European Experience to be gained. The fact there’s no option to by gives me hope the club recognise his ability. On the complete other hand, what the hell is going on? What sort of parallel universe is Rodgers living on? Why did we even sign Tiago Ilori? After spending a seasons on loan at Bordeux and a disastrous season from Lovren you’d put two and two together and give the kid, who you spent all summer signing, just once chance. But nope, Rodgers puts two and two together and gets Lovren. Every. Time. We are getting rid of an extremely talented player, shipping him out to Villa who DO have an option to buy. Its ridiculous. He could go on to be one of the best in Europe; he’s just had an outstanding u21’s tournament with Portugal. With this one… I really don’t understand the logic. The rest of the academy players were sent out on loan to lower league football clubs to game experience, with the exception of Danny Ward who has done fantastically well having a 100% start to the season and Ward earning his first Wales call up. This is an example of a good loan. There’s also Wisdom who gains further Premier League experience, which is a bit of a conundrum but I don’t believe he has a great potential with us, so his value to mid table clubs will rise and get us a decent fee. And lastly Luis Alberto is at Deportivo La Coruna and I think the less said about this… the better. If you look at the window without the context of the system we play, with the ins and outs of the club you have to say that we have improved the overall squad. But there are a LOT of new faces. I’m always weary with this, as with this amount of players trying to adapt it could be another year of transition. Again. If things don’t click early we could be in trouble. I believe this is going to be an unpredictable season. Our season really relies on Firmino and Benteke fitting in and doing well and sadly I see the odds stacked against Benteke. I would love to be proven wrong. We HAVE strengthed some areas, we have vast striking options with Origi, ings, Benteke and Sturridge if.. You know. Our full backs are moresound defensively by a long way. But we really could have done with a DM. This could be our downfall this season as the squad seems to be heavily unbalanced being extremely top heavy. 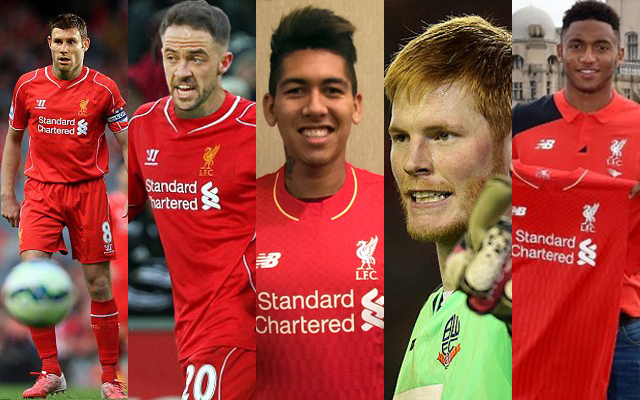 On the other hand, Liverpool have gotten rid of literally all of the unneeded players apart from one. The Mario Kart ping-pong king himself Jose Enrique. He will almost certainly leave next summer though as he is out of contract. I hope you’re all strapped in because this is going to be a long roller coaster ride of a season.